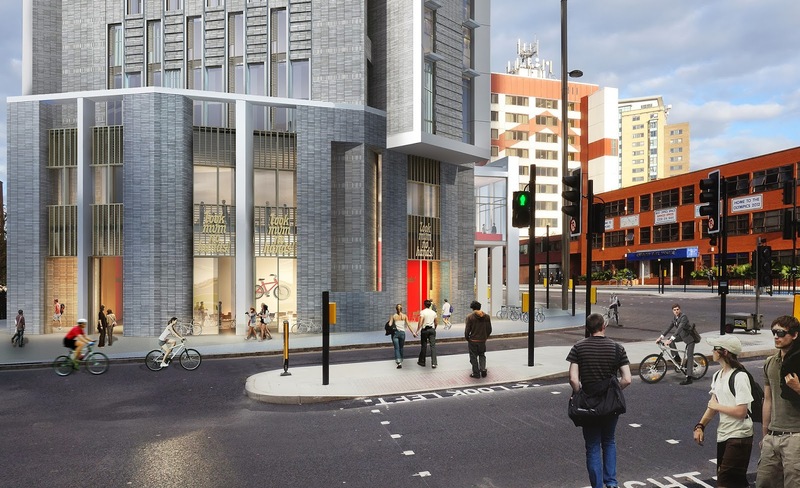 Ambitious plans by Alumno Developments described as ‘having the potential to be an exemplar of student accommodation' have, this week, been granted consent by the London Legacy Development Corporation (LLDC) Planning Department, subject to referral by the Greater London Authority (GLA). Designs by MJP Architects for the Three Mills West redevelopment, a derelict petrol station site in Stratford High Street in East London, were praised by the Quality Review Panel of the LLDC. 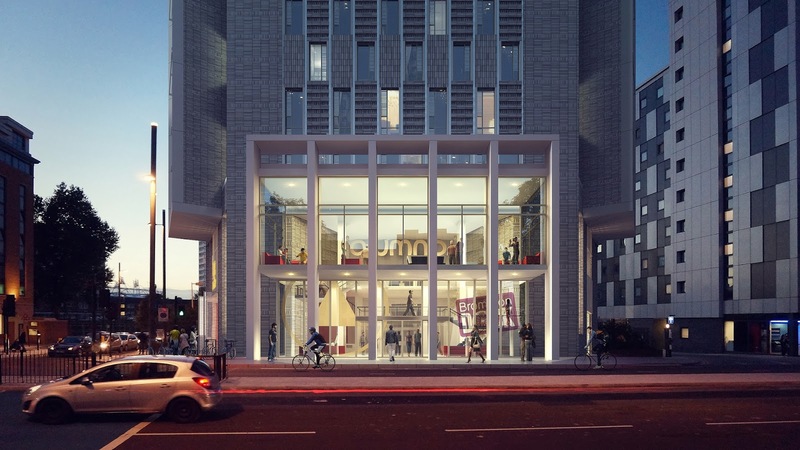 The project will include purpose-built accommodation comprising 431 student rooms offering a choice of living arrangements and budgets plus a range of artists' studios and a cafe/gallery space. Alumno's proposal, which will bring added vitality to the area, involves working with a variety of community groups, charities and independent businesses. It is hoped the scheme will be open for the 2016 academic year. Specialist developers in student accommodation, Alumno will be working closely with students from the FdA Interior Design Faculty at Chelsea College of Art & Design, the second time that the college has collaborated with the organisation. A total of 45 students in ten design teams will play a hands-on role in the development of the Stratford accommodation and facilities. Their previous collaboration was the redevelopment of the former Southwark Town Hall into a complex with student accommodation, a publicly accessible theatre and café, and artists' studios. When completed later this year, this development will provide modern bedroom accommodation for 152 students plus generous and adaptable communal areas, an arts theatre and studios. ‘We were really impressed with the student ideas for the Southwark site,' says Campbell, ‘and the best of these will be incorporated into the interior design of the new buildings to provide facilities that closely match the needs and tastes of prospective users. ‘Partnership with the key stakeholders, such as the universities and the students themselves, has become a unique strand of our work and has certainly helped drive the success of our projects. We are excited to be involved with the Chelsea College of Art and Design and the advantages of having their students involved is a win win. We benefit from the insights of our target market, while the students benefit from interaction with professional architects and developers and are able to apply their academic studies to a real-life and contemporary project." Since beginning in 2006, Alumno Developments has continually worked with universities, colleges and other key stakeholders to provide homes for around 2,000 students across the UK. Previous successful projects include the development of former Southwark Council offices at 30-32, 33-37 and 39 Peckham Road, Camberwell, into student accommodation for Camberwell College of Arts.